Art has always been a place where people can go to enjoy the beauty of life and to escape from the harshness reality. Music, theater, books,movies, paintings are just some of the forms that these artists used to express their personalities and influence a huge number of people all over the world. Over the years, many artists from many different areas have left a crucial mark in the development of their art. This piece will bring you the list of five artists who are considered to be among the greatest of all times. David Bowie was the world-renowned songwriter, singer, and actor. However, he has left the biggest impact in the world of music with the timeless songs that generations of people grew up with. Characterized as one of the biggest icons of the 20th century, David Bowie used his music to touch millions of people all over the world. One of the biggest characteristics of his musical career was his reinvention and the visual presentation of his music. In that aspect, David Bowie was like no one else. Creating different characters through his music, David Bowie left a legacy for all the future musicians to find inspiration in. Over his career, he had eleven number-one albums which show how popular David Bowie actually was. He passed away aged 69 on January 10, 2016, in New York City from a liver cancer. Meryl Streep is an actress who in her career produced a huge number of iconic movie roles. Today, many critics consider her to be the greatest living actress in the world. Over her career, she was nominated 20 times for the Academy Award which is something that no other actress or actor was able to achieve. Over the years, her performances in Kramer vs. Kramer, Sophie’s Choice, Out of Africa, Mamma Mia, The Iron Lady, Into the Woods, have been used as teaching materials for young actors all over the world. Besides being one of the greatest actresses of all time, Meryl Streep has also been one of the biggest humanitarians in Hollywood. Taking on different causes, Meryl Streep proved that being famous and having such a huge platform can and should be used in order to help people in needs all over the world. Recently, he has been criticized for her political speeches but she said that she will continue to fight against the wrong ideals no matter what. 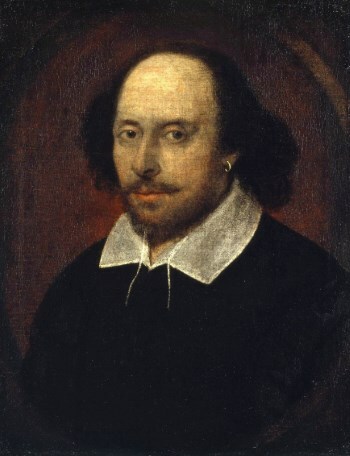 William Shakespeare is considered to be the greatest writer, author, and a poet of all times. Many experts consider him to be the father of the modern-day English language. Through his plays and sonnets, William Shakespeare amazingly painted the picture of a society of that age. However, the greatness of his work is not found in that fact but rather in the fact that all social criticism from his work can often be applied even today in modern societies. Romeo and Juliet, Hamlet, A Midsummer Night’s Dream, Macbeth, King Lear, Othello, The Merchant of Venice, As You Like It, The Winter’s Tale and others are just a small part of his work that became an obligatory reading list for almost all people in the world. Some may claim that Shakespeare is not the greatest of all time but looking at his influence on the authors even today, those arguments fall apart. Aretha Franklin started her musical career by singing gospel in her local church. After an initial struggle to become a widely popular performer, Aretha Franklin got the second chance when she signed to Atlantic Records in 1967. At that time, some of her most important and most iconic songs were made, including ‘Respect’, ‘Spanish Harlem’, ‘Think’, and ‘A Natural Women’. As the 1960s were coming to an end, music critics named her The Queen of Soul. Her musical range was not only limited to the soul but also to other genres such as R&B and pop and she achieved the same success in all genres which is yet another proof of her greatness. Rolling Stone magazine listed Aretha Franklin as the greatest singer of all time. Rarely any historical figure has had that much influence on the modern world like Leonardo da Vinci. His fields of interests were paintings, mathematics, inventions, literature, history, cartography, anatomy and many others. Over the years, Leonardo da Vinci came to be known as the father of ichnology and paleontology, as well as architecture. Even though his interests were captured by many different areas, Leonardo da Vinci is perhaps famous the most as the painter. Among his greatest painting works is Mona Lisa which has been characterized as the most important piece of paintings in history. Besides Mona Lisa, Leonardo da Vinci has also painted another iconic painting, The Last Supper. Besides his painting, his sketching or drawing of a Virtual Man has become a worldwide cultural icon used even today in many different fields.